My personal specialty is profiling unusual and rare production bikes. For a motorcycle to meet my criteria and be featured in one of my articles it must be weird, cool, rare, and most importantly something exceptional that few have bothered to cover in any great detail. So while I enjoy a good custom as much as the next red-blooded motorcycle fanatic, I don’t often come across builds that really tick all the boxes to earn the Official OddBike Seal of Approval. 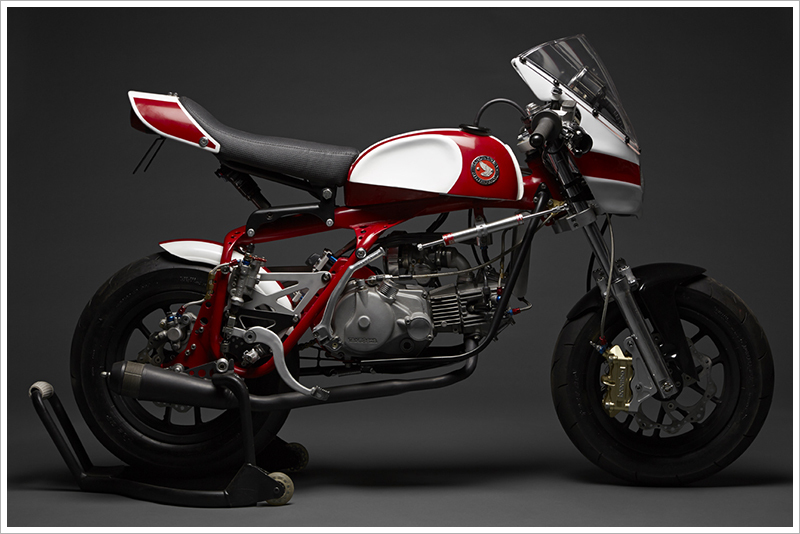 So when I got an unsolicited email from a fellow by the name of David Morales with pictures of a modified-beyond-recognition Honda Z50A monkey bike, I knew I had found my next contribution to Pipeburn and a custom machine that would be worthy of the OddBike designation. Behold – the 50 Magnum.